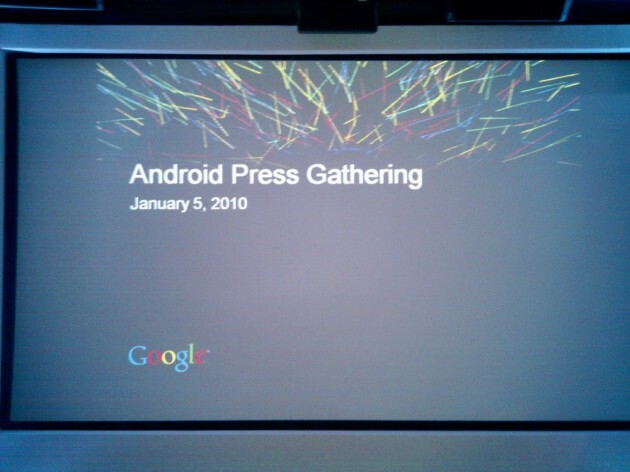 While it’s technically called the “Android Press Gathering,” we all know what’s coming. Today, Google is expected to formally unveil the Nexus One (the device which some have been referring to as the “Google Phone“). The long event taking place today is expected to have both a presentation as well as demonstrations. Follow our coverage below, live. Here’s our full Nexus One review. 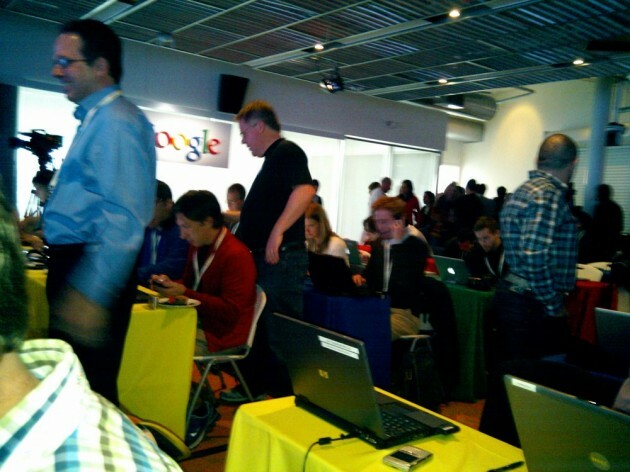 Right now Google execs are filtering into the room. Rock music playing. Here we go. Today we’ll unveil the next stage in android. 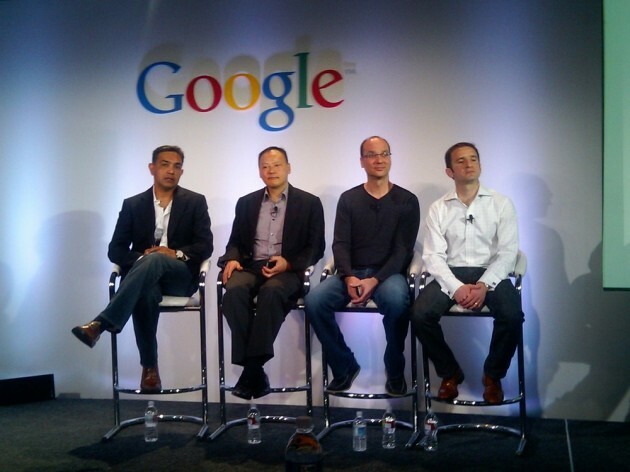 2 years ago, Google will 33 industry leaders made the open handset alliance. One year after OHA, we launched with T-Mobile the G1. But that was just the beginning. We wanted a thinner device. So we put out the myTouch 3G. Then we wanted faster, so the Verizon Droid launch. 4 major software releases in 2009 for Android. Android is available on one of the most progressive open source licensing schemes around. Next step in Android evolution – we’re in the early stages of a longer journey. And we’re really proud of the devices our partners have brought to market. 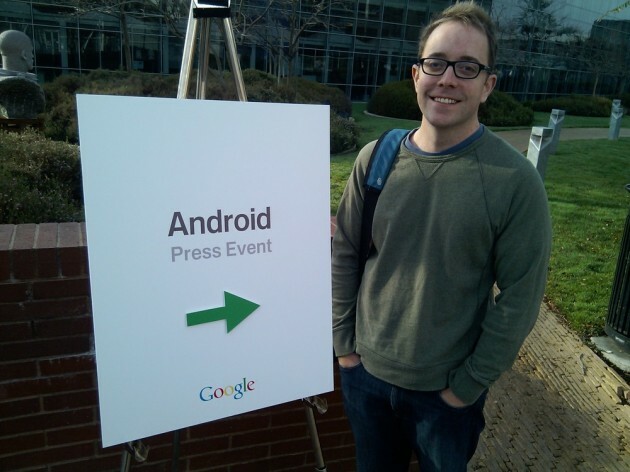 2 years ago we were here announcing the Android platform. 1 year ago, the G1. So far we have shipped 7 Android products with the Nexus One. paired with all the great tech, we have the trackball that also functions as a notification system. It can pulse different colors. Light and proximity sensor now. No thicker than a #2 pencil. No heavier then a small Swiss Army knife. Stereo bluetooth and active noise cancellation. The latter we can do because we have two microphones on the Nexus One. When I make a call, background noise is cancelled out. 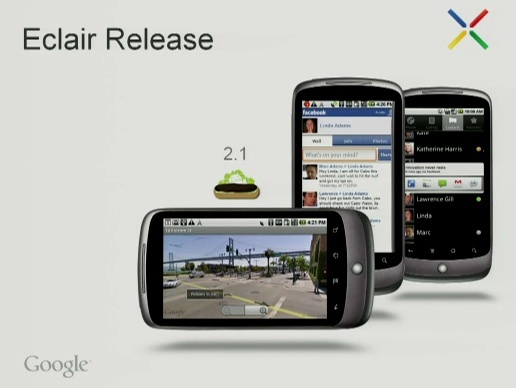 Android 2.1, the latest and greatest version of Eclair – which first shipped on the Droid. We have Google Maps Navigation for turn-by-turn. Facebook built-in. And Quick Contacts. But we have something new for the software: Customization. We added more home screen panels for more customization – there are 5 now. One new one is the news and weather widget. We expect lots more great widgets since Android is open. And now we have live wallpaper. New 3D framework for the Android platform. The Nexus One is really a mini computer. We wanted to push the 3D capabilities of Snapdragon. Live wallpaper is one thing, but the App Launcher is all new now too. As is the gallery for photos and videos. We worked with Cooliris on this. Very cool effects. Cluster photos by time, date, or location. A better way to manage when you have tons of photos. The other big innovation is voice. Earlier this year we launched “Search by voice” so you could speak your search query. Then we launched “voice commands” which is on the Verizon Droid. But what if I could use voice for every text field? What about speaking tweets? So that’s what we’ve done with Android 2.1. Does an example by composing a Gmail by talking to the phone. Works well. And every time you talk to it, it gets better. 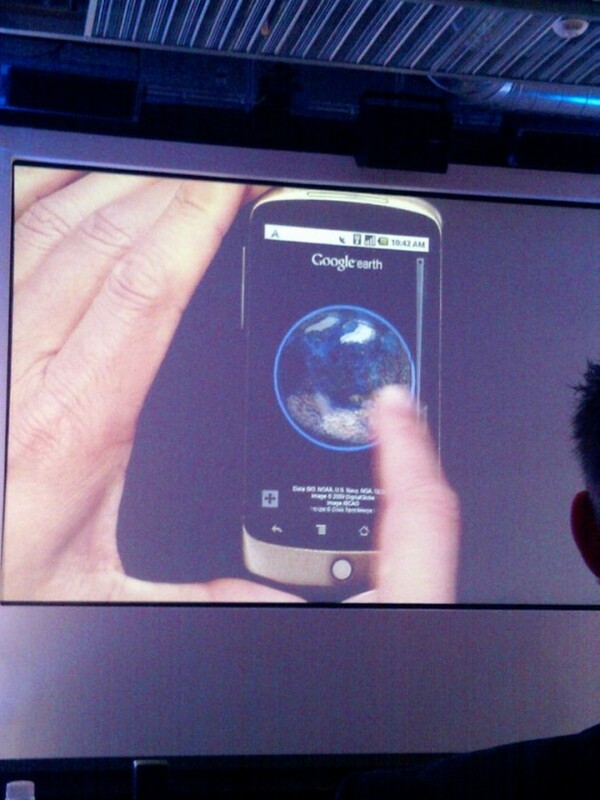 Sneak preview of a new app coming soon: Google Earth for Android. Sneak Peek. google earth on desktop has birds eye view so you can fly around. goog earth for android now has that too. This shows off the power of 3D on Android. And voice search works too. “Mount Fuji” test. Nice. A series of devices like this are coming. But this is the first with a new way to buy a device: Our web store. You can buy a device without service, or with it from one of our operating partners. ile USA (it’s still unlocked), today. Or you can buy it from us with no service plan, unlocked. We expect to add more operators and more devices, like from Motorola. And more countries. Showing off the store now. You get a lot of pictures, and a 3D tour. T-Mobile Nexus One is $179.99. Unlocked $529.99. Check out process is through Google Checkout. Real time view of customizations on the site. We are launching the web store in the U.S. but shipping also to UK, Singapore and Hong Kong. In the future we’ll add more countries, carriers, and devices. Those people in the audience will be able to pick up a device today – with a trial T-Mobile SIM card so you can check it out. Another Oprah moment! Q: Why only 512 MB for app storage? AR: We provide a mechanism for developers to protect from piracy, so we store them in ROM, but in the future we’re changing this with encrytption. Q: So you can order today, does it ship today? MQ: Yes, it ships today. Q: Can you only use it with T-Mobile? MQ: No you can use AT&T SIM as well but there are different 3G frequencies (so AT&T 3G won’t work – in Europe this will work better). EDGE only in the U.S. bummer. Q: Is this an “iPhone killer”? AR: I think this isn’t to the iPhone specifically, this is for consumers. This is our “super phone” – choice is a good thing. PC: This is one of the best. Q: If you buy the unlocked phone, does that come from HTC? 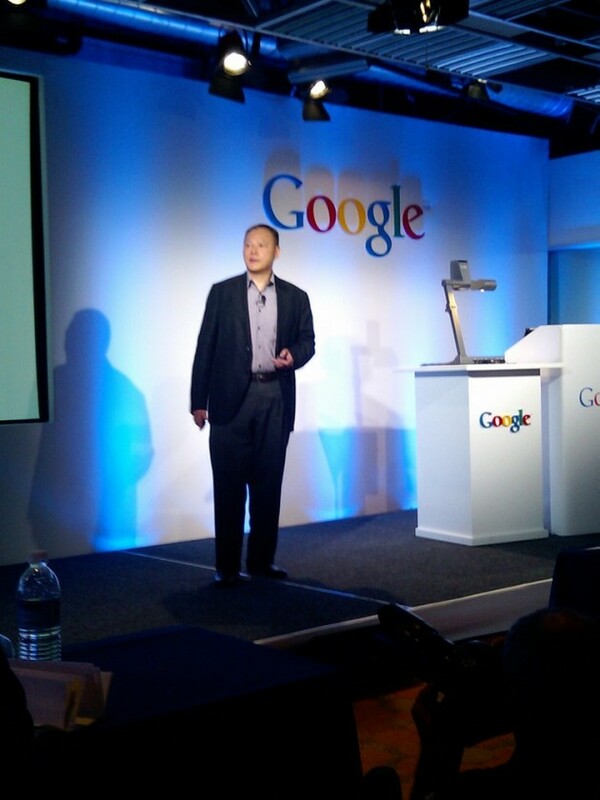 MQ: Google is working with HTC on this, but we don’t talk about supply chain set up. Q: Every 10 minutes we see an Apple App Store ad, Google doesn’t do that, do you plan to? 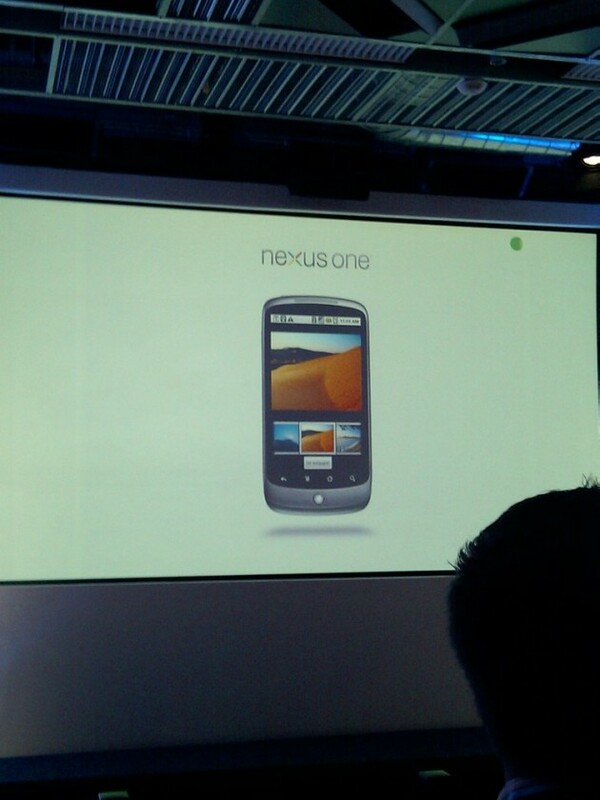 MQ: The marketing for Nexus One and the web store is essentially online. But it’s not just about advertising, it’s about making the Android Market better too. Q: What about the new OS? AR: It should be available on other Android phones soon. Q: Why buy this if they can choose other phones? What about the $99 iPhone? MQ: Well it’s all about choice. That’s important. We’re going with even more devices and more carrier plans. This is the early stages of a longer journey. AR: The $99 price – you need to think globally. In much of the world unlocked phones are popular, and those prices don’t exist with that. Q: Google isn’t known for retailing. How will you make a dent here? MQ: We shouldn’t focus on retailing. This is about a complete solution. It’s about working closely with our partners for great phones to showcase our software. Q: Tethering and WiFi coming to the device? Q: No physical keyboard. Is that dead? PC: We have many phones with different options, if you want a physical keyboard, you can get one. AR: And things like the new voice input are making physical keyboards less important too, remember. MQ: And we’ll always listen to our customers, and have many different options. Q: What about selling other products? 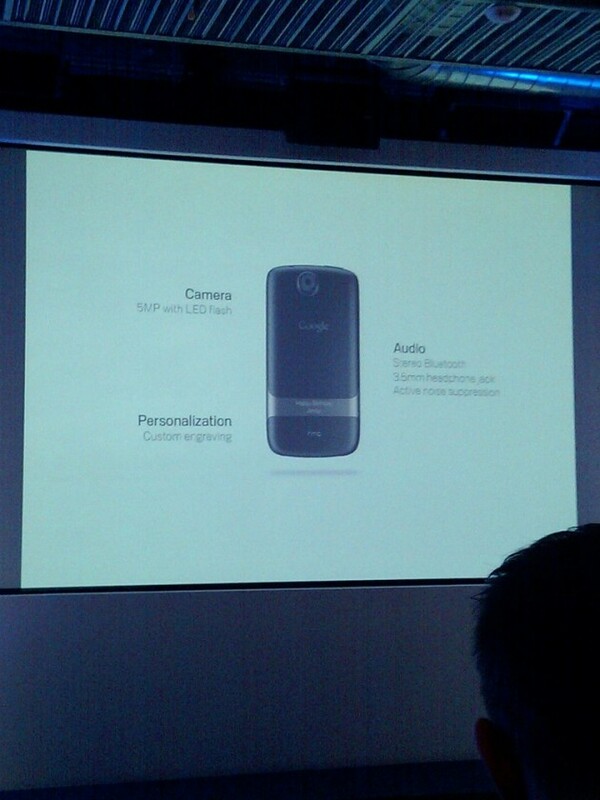 MQ: We’re looking at other mobile phones beyond the Nexus One, but no comment on other products. Q: Other phones sold on the site? AR: We’re being picky about which phones we’ll sale through us, but there will be more. We want quality in our store. MQ: And we want simplicity. We’re not going to flood this web store with a lot of different devices. We’ll see what users want. Q: What about other markets to sell in, how quickly will those come? What about multi-touch for apps? MQ: It’s a matter of how quickly we can offer a web store that’s robust. AR: I can’t comment on multi-touch on the Droid. 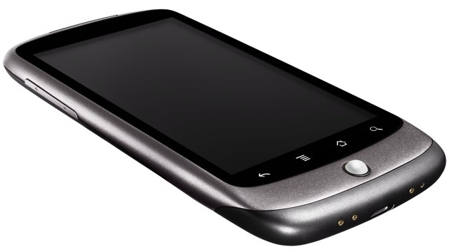 PC: HTC Droid Eris support multi-touch. AR: We leave the option open, we’ll consider it. Q: Any reason why not on Google Maps? 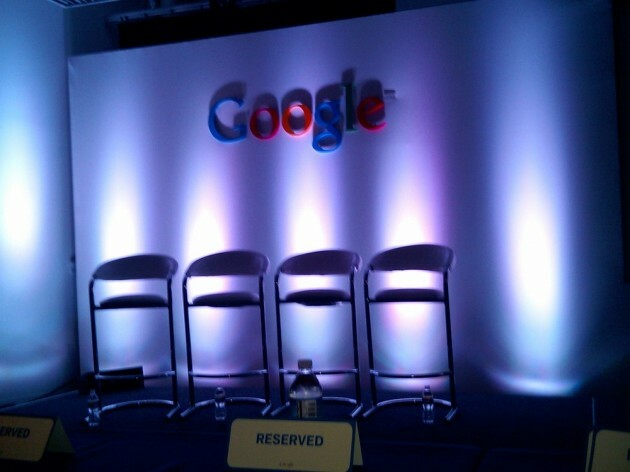 Q (from Mike): Talk more about Google Voice integration? Q (from Mike): What about more devices coming? What about consumers buying these things, why are you one-upping your phones? MQ: Mobile technology is like computers, it’s moving very fast. But it’s difficult to answer. We have over 20 devices, there will be a lot more. A lot are great today. Q: What if you’re an existing T-Mobile user? MQ: When you go to the website, they’ll ask if you’re an existing T-Mobile customer. If you’re upgrade eligible, you can get a discount. Future devices will work the same way. Q: Google has said it wouldn’t do me too products – is this one of those? Why get into this? I want the revolution from Google, where is it? AR: I think the pricing is pretty exciting when you think globally. But what you’re describing to a large extent are new business models. This is a baby step – let’s get a store going. That’s what we’re doing here and we’ll enhance it. Q: Most consumers like to go into the store to check out a phone. What about the importance of physical retail? Will Nexus One be in T-Mobile stores? Q: The Nexus One is the super phone – how do you differentiate? AR: Again, this is all about pushing innovation. We call it the super phone because it’s as powerful as your laptop a few years ago. There will be more of these. Q: Will Verizon be just CDMA? SJ (of Verizon): Some of the phones we’re working on will be “world-mode” as we refer to them. Q: What about Android Market? AR: About 20,000 apps available today and it’s very open. It’s rapid iteration. We built our company on the web and on the cellphone we think our Market is working the same way. Now you can buy apps through your cellphone bill to help expansion. Q: Droid is a great phone, but wil Nexus One cannibalize it sales? SJ: I think Nexus One is a great phone, but Droid is a great phone too. We’ll upgrade Droid to Android 2.1 too. 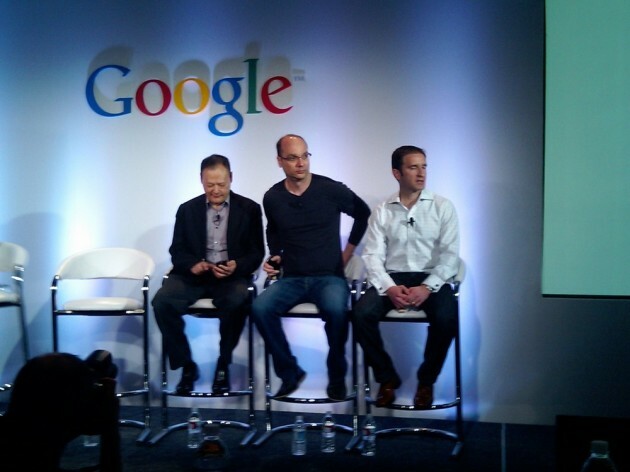 Q: Should Google’s partners be afraid of you guys selling the phone by yourselves? SJ: This is just another channel to take innovation to consumers, as we see it. This is an expansion of the market place. PC: This is about several players pushing innovation. Sometimes it’s inevitable to be competing, but sometimes that makes a better offering. This is healthy for the industry. We’re all friends here – we work together to make the industry better. Q: What’s broken about the current experience of buying a phone? What is Google fixing? AR: The web has changed shopping. When you buy a camera, you don’t need to go to a store anymore. We think this will be the same way with online sales of phones. Once there is a number of phones out there, someone will have the one you want. Advertising and other means costs money – that has to come from somewhere. Over time we think we can lower overhead costs too. AR: No is one is saying they should abandon their current method. This is just another way. Q: There are a lot of phones with different versions of Android – what about those that are locked out? PC: We plan to have some of our existing models to 2.1, we’re working on it. AR: My PC from a few years ago can’t run Vista or Windows 7, it’s the same here, the hardware evolves. The intention is to make sure some of this is future proof. SJ: It’s a give and take. MQ: The G1, our first phone, has gotten a number of updates too. Q: Will the Nexus One be coming to Verizon and Voda? Will they be unlocked? MQ: Unlocked with CDMA is more complicated. But Nexus One will be on Verizon and Vodafone (which is GSM) CDMA is Verizon-only. Q: Are you going to continue the porting of Google Voice to the iPhone? AR: Our advantage isn’t to put this all on us. We want to be on as many phones as possible, that includes Google Voice. Q: Andy, you’ve said there would be no Google Phone? What happened? AR: (laughs) Go back and look what I said – we’re still partnering here.